Recently, the global health community has also recognized environmental determinants (such as pollution) and mental health problems as major contributors to NCDs, which broadened the scope of the NCD agenda from “4x4” to “5X5”. The devastating impact of these diseases and conditions is disproportionately felt by low- and middle-income countries (LMIC), where 78 percent of all NCD deaths take place. In LMIC, ambient air pollution, chemical pollution, and soil pollution produced by industry, mining, mechanised agriculture and petroleum-powered vehicles are on the rise. These environmental determinants likely constitute key underlying causes for NCD deaths from cardiovascular diseases, cancer and chronic lung diseases. The inclusion of NCDs in the 2030 Agenda for Sustainable Development provided an unprecedented opportunity to explore linkages among the Sustainable Development Goals (SDGs), enhance policy coherence and advance the NCD agenda as part of sustainable development. However, achieving the NCD target under SDG 3 (SDG 3.4) – achieving a one-third reduction of premature mortality from NCDs through prevention and treatment and promoting mental health and well-being by 2030 – will require strong action at the national level. Although NCD risk factors are largely related to individual behaviour, social risk factors also influence the distribution of health within, and between, populations. Social risk factors may also be associated with higher rates of morbidity and mortality. The United Nations system has been instrumental in facilitating a political response to NCDs, which enables the world to address them as a global development challenge. The Three United Nations General Assembly High-Level Meetings on the Prevention and Control of NCDs (in 2011, 2014 and 2018) mobilized stakeholders at the highest level and resulted in commitments by heads of states and governments to prevent and control NCDs through the whole-of-society, health-in-all-policies and multisectoral and multistakeholder approaches. The World Health Organization, as a designated agency to accelerate progress towards implementation of the high-level commitments on NCDs, has produced numerous tools, guidelines and action plans, as well as provided a comprehensive menu of policy options to Member States for cost-effective “best-buy” interventions to address NCDs. 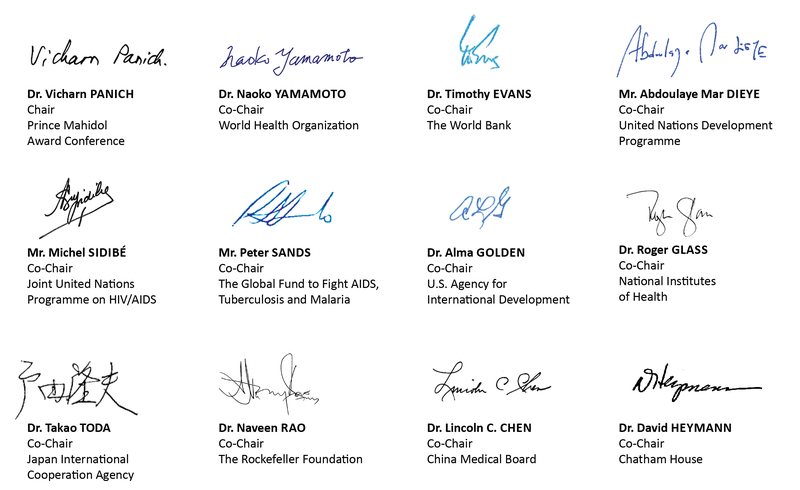 The WHO Global Coordination Mechanism on the Prevention and Control of NCDs and the United Nations Interagency Task Force were established to enhance action across sectors and stakeholders and bring the United Nations organizations together in the fight against NCDs. Although some nations have made substantial progress towards meeting the global commitments, of the HLMs, the progress has been slow and uneven. Many countries still lack the political will, commitment, technical and operational capacities, as well as financial and human resources, to strengthen their health systems and scale up national NCD responses. Some countries also face leadership and governance challenges, with effects in the areas of planning, prioritization and resource allocation. Engagement with the private sector presents a challenge yet essential particularly in improving accountability and facilitating multistakeholder and multisectoral partnerships for tackling NCDs. Any conflicts of interest must be managed rather than ignored or considered an insurmountable barrier. The Conference this year will provide a platform to all stakeholders, including governments, the United Nations System, academic institutions, civil society organizations, professional associations, non-governmental and faith-based organizations, philanthropic foundations, young professionals and the private sector to come together to debate and discuss the most innovative and bold ideas, to propose solutions and forge partnerships to address NCDs at global, regional, national and local levels. As the Co-chairs of this very important global Conference, we would like to encourage all participants to take full advantage of all the opportunities that PMAC 2019 has to offer: more than 50 side meetings organized by the Conference partners, engaging and educational field trips, the fascinating world art contest and abstract presentations, in addition to the insightful Conference programme that includes several plenary discussions with renowned speakers and parallel sessions for examining issues in more detail. All these activities will ensure that Conference attendees are given a chance to actively participate through exchanging experiences, learning from each other and meeting new colleagues and partners. We would like to acknowledge the valuable contribution of the co-sponsoring organizations, whose tireless efforts helped bring the Conference to fruition. We especially thank the Prince Mahidol Award Foundation and the Royal Thai Government for their remarkable support and outstanding leadership, as well as the PMAC Secretariat for providing their overall guidance, day-to-day support and an incredible team spirit. We look forward to welcoming you to Bangkok!